At Don Quixote's Opening For Ray Wylie Hubbard! 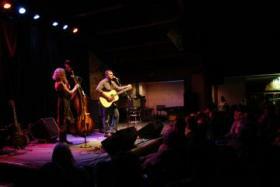 Billy Manzik and Lisa Edberg performed to a packed house last Friday at Don Quixote's International Music Hall in Felton, CA opening for Ray Wylie Hubbard. Here's a photo taken that evening by Ed Heffelfinger. 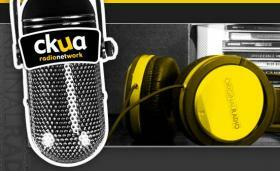 InRetro is based in Toronto, Canada Nancy Duffy conducted the interview which was originally braodcast on February 16th, 2011. David Ward from Alberta's CKUA Radio has chosen 'AllTogetherNow' as one of his 10 favourite albums of 2010 (along with Neil Young and Arcade Fire!). 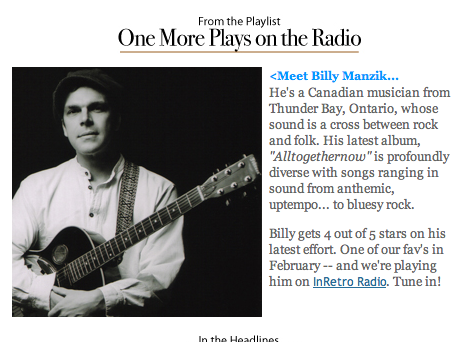 If you like the wall-to-wall Americana roots then music of Canadian guitar slinger Billy Manzik is right up your musical avenue. Varied and exciting, the music of Manzik and ensemble of pickers has both an eclectic and adventuress feel, as rock, country, blues and pop groove as in ‘Has Been’ slot in alongside one another. © 2006-2018 Billy Manzik. All Rights Reserved.